The shift away from coal and towards decentralized solar, wind and renewables continues. 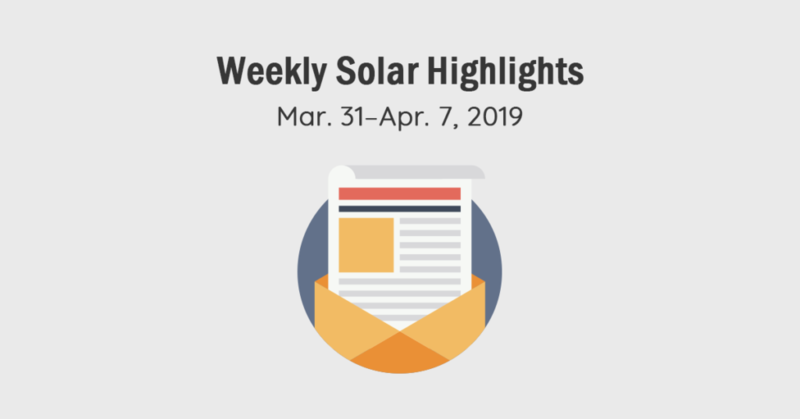 News regarding utility solar-storage in Hawaii, retirement of the massive Navajo Generating Station in Arizona and Norway’s sovereign wealth fund doubling its renewable energy investments numbered among the news that made headlines this past week. 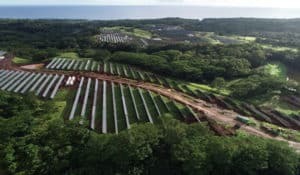 Hawaii’s Public Utilities Commission approved six grid-scale, Hawaiian Electric solar-plus-storage projects, advancing the U.S. state towards achieving its mandated goal of renewables supplying 100 percent of electricity state-wide by 2045 . Totaling 247 MW and nearly 1 gigawatt-hour (GWh) of battery-based energy storage, the projects, collectively, are the largest and lowest cost approved at one time in the state’s history, according to a news report. Three of the projects will be built on Oahu, one on Maui and two on the Big Island of Hawaii. Each of the projects’ battery energy storage systems will be able to dispatch electricity to the grid for four hours. “We really appreciate the PUC moving so quickly to review and approve these projects, which enables the developers to meet the aggressive schedule that was set up to take advantage of federal tax credits,” Jim Alberts, Hawaiian Electric senior vice president of business development and strategic planning, was quoted as saying. 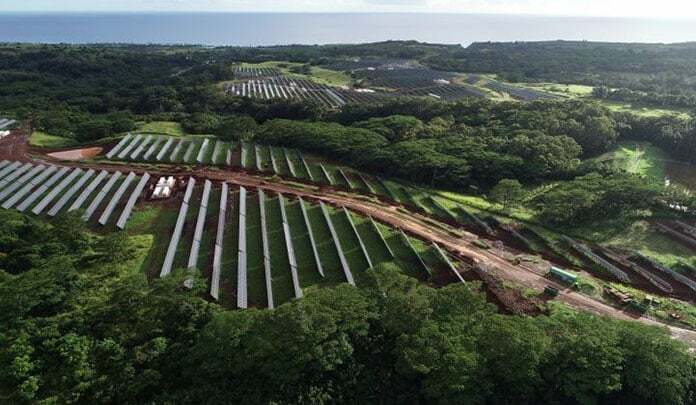 Hawaii’s PUC is still reviewing two more projects—a 12.5-MW/50-MWh solar-plus-storage system in West Oahu and a 15-MW/60-MWh project on Maui. “We believe strongly that the renewable energy transformation should benefit everyone and these seven projects will help stabilize customer costs while reducing our reliance on imported fossil fuel and cutting greenhouse gas emissions,” Shelee Kimura, Hawaiian Electric senior vice president of business development and strategic planning, said in January upon announcing review of the projects. 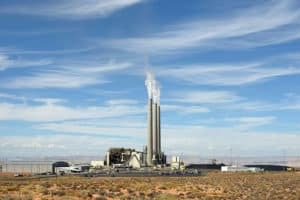 The site of the massive Navajo Generating Station coal-fired power plant in the U.S. southwest not far from the Grand Canyon may be converted to a solar-plus-storage power plant. A bill introduced in the Navajo Nation legislature proposes a task force be created “to move the Navajo Nation beyond coal source revenues and forward to sustainable, renewable energy sources,” according to a news report. The bill would also explore ways and means of providing assistance to Navajo Generating Station and Kayenta mine workers who lose their jobs, a key aspect in a Native American Tribal Nation where official unemployment rates hover around 50 percent. In operation since the mid-1970s, the 2.25-GW Navajo Generating Station is to be shut down by Dec. 22, as will the plant’s supporting Kayenta coal mine. Various efforts to avoid closure of the power plant and mine have failed, including a last-ditch effort that was rejected by the Navajo Nation legislative committee the same day the sustainable, renewable energy bill was introduced. The Navajo Nation controls 500 MW of transmission capacity linked into the Navajo Generating Station. “The most reasonable thing to do is to put solar energy on the transmission line and own it and operate it,” Nancy Horseherder, executive director of Tó Nizhóní Ání, a local solar, clean energy and environmental organization that helped draft the sustainable, renewable energy bill, was quoted as saying. Los Angeles could replace at least one of the three natural gas-fired power plants slated for decommissioning in coming years by boosting the number of residential solar-plus-storage systems installed throughout the city to 75,000, aggregating their capacity and managing it via virtual power purchase agreements (VPPA) , according to U.S. residential solar market leader Sunrun. Doing so would not only wipe out carbon dioxide and methane emissions and other associated public and environmental health and safety risks, it would save the city some $60 million, Sunrun says, according to a news report. Doing so would also go a long way towards helping Los Angeles reach a goal of relying entirely on renewable energy for electricity by 2050. Virtual power plants have already been deployed successfully at smaller scales in Orange County, California and Waltham, Vermont, the news report points out. Sunrun recently made headlines when regional U.S. power grid and markets operator New England ISO awarded Sunrun the first-ever contract to provide ISO New England with energy capacity at wholesale rates by aggregating electrical power produced by home solar-plus-storage systems distributed across the region. U.S. lawmakers in the Democratic Party-controlled House of Representatives introduced a bill that would extend the federal investment tax credit (ITC) to include stand-alone energy storage . In the midst of being scaled down, the federal ITC has been a pivotal, primary driver of solar energy investment and deployment in the U.S. since it was first introduced as part of the Energy Policy Act of 2005. The rapidly falling cost of lithium-ion battery energy storage has given a big boost to solar energy growth, enabling solar power producers to store energy produced by PV systems and dispatch it after dark or in order to better support and manage solar-to-grid electricity flows and help stabilize and maintain power grid operations. Democratic lawmakers have tried to pass similar bills before without success, an industry news report points out. New Mexico Senator Martin Heinrich introduced a similar bill in 2016. Introduced by Pennsylvania Sen. Mike Doyle, this year’s bill, the Energy Storage Tax Incentive and Deployment Act, would allow stand-alone battery and other types of energy storage systems qualify for the 30 percent ITC now available to those that deploy solar energy systems. Energy storage tax credits would decline according to the same schedule currently set for solar energy systems: 30 percent through the end of this year, 26 percent in 2020 and 22 percent in 2021. Credits for residential energy storage would be eliminated thereafter, as they are to be for solar energy, but a 10 percent ITC would remain for commercial and utility-scale energy storage projects. BlackRock, the world’s biggest money manager, is investing an undisclosed amount of capital, said to be in the USD250 million range, in CleanCapital, which owns and manages a portfolio of small-scale, U.S. solar energy systems valued at some USD300 million . BlackRock and CleanCapital teamed up to purchase a 46.9-megawatt (MW) portfolio of solar power projects from a unit of ATN International last year, marking CleanCapital’s largest deal to date. The company now aims to expand into distributed solar-plus-storage projects in Mexico and Canada, according to the news report. Billions of dollars of Norway’s sovereign wealth fund, the largest in the world at some USD1 trillion, is to be invested in wind, solar and other renewable energy projects . Norway’s government approved a proposal that doubles the amount of fund capital that can be invested in renewable energy projects to USD14 billion and permits it to be invested directly in renewable energy projects as opposed to renewable energy companies and projects listed on exchanges, which has previously been the case. Off-exchange renewable energy projects represent more than two-thirds of renewable energy infrastructure market, which is valued in the trillions of dollars, according to a news report. “This move will most likely expand the market further and faster. Our overall renewables infrastructure rate of return was around 11% last year. Clean energy is what will move us away from the dangerous and devastating pathway we are currently on,” CEO of Norwegian pension fund KLP Sverre Thornes was quoted. Ironically, it has been proceeds from Norway’s nationalized oil and gas sector that have funded the sovereign wealth fund. In a similar development, Saudi Arabia’s national oil fund is selling off its oil and gas investments, the news report points out. The sovereign wealth fund’s managers in March announced they would sell off nearly USD8 billion of investments in 134 companies involved in oil and gas exploration. It will hold on to investments in Shell and BP, as well as other oil and gas companies that have renewable energy divisions, however, according to the news report. The fund’s managers also announced they would sell off investments in more coal companies, limiting its investments to companies with less than 20 million metric tons of reserves. That may result in the fund selling off its stakes in two of the world’s largest owners of coal mines, Glencore and RWE. The fund’s managers sold USD6.5 billion of coal-related assets in 2015, the news report notes. The World Bank and the French Development Agency AFD have teamed up to lend the West African nation of Guinea a total of USD106 million to support electrification projects in the capital city of Conakry and off-grid electricity projects in remote areas. The African Development Bank through the African Development Fund is contributing another USD11 million to the Conakry Power Grid Rehabilitation and Extension Project. The first phase of the electrification program will entail repairing, upgrading and extending the utility transmission and distribution grid in Conakry and neighboring cities, according to a news report. The funding supports implementation of Guinea’s 2016–2020 National Program for Improving Access to Low-Cost Electricity, the aim of which is to double electricity access from 18.1 percent to 36 percent over the period. It also comes on top of USD75 million World Bank and AFD previously provided Guinea’s government to support construction of the Guinea-Mali grid interconnection and USD25 million for Guinea’s energy sector recovery plan, the news report says. The news report doesn’t mention the role off-grid solar-plus-storage may play in Guinea’s energy plans. Smart, solar-plus-storage is proving to be a potent, vital means of providing sustainable energy access across a growing swath of Sub-Saharan African countries, as well as stimulating local socioeconomic development, however. PEG Africa is the latest darling of investors active in Sub-Saharan Africa’s nascent, fast-growing Pay-Go (PAYG) solar energy industry and markets. 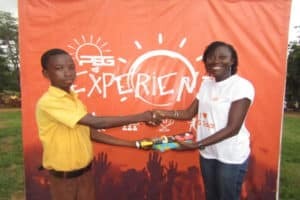 The Ghana-based company raised USD25 million in a Series C funding round, bringing its funding total to USD50 million. 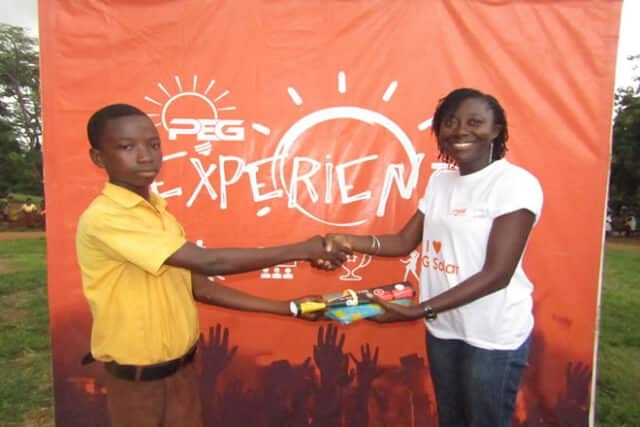 PEG is said to serve more than 600,000 households and operates a network of more than 700 service centers that employ more than 400 full-time staff and 550 commission-based sales agents in Ghana, Cote D’Ivoire and Senegal. 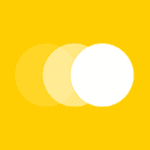 USD20 million of the USD50 million PEG raised in its Series C funding round comes in the form of debt. U.K. development bank CDC Group arranged a USD15 million multi-currency facility. Previous investors in PEG, crowdfunding platform SunFunder and ResponsAbility participated in the Series C funding round, as well, according to a news report. “This facility is the first local currency debt provided by CDC to a solar company in the region and marks an important step towards reducing the sector’s exposure to currency fluctuations and increasing its long term financial sustainability,” CDC Managing Director Holger Rothenbusch stated. The remaining USD5 million comes in the form of equity. Previous PEG Africa investors Energy Access Ventures, Blue Haven Initiative, I&P Afrique Entrepreneurs and Acumen increased their equity investments in PEG. New investors Total Energy Ventures and the Renewable Energy Performance Platform took on equity positions, as well.